The foreign policy chief of the European Union and Iran's chief nuclear negotiator have agreed to an initial meeting between Iran and the five permanent members of the United Nations Security Council plus Germany. If you read the Obama Administration's version of events, the talks will deal with Iran's nuclear program, specifically to convince Iran to halt its enrichment of uranium at least until international concerns about the full extent of the program are addressed. Few analysts accept the Iranian regime's explanation that the nuclear program is for electrical power generation - most believe it is an attempt to develop a nuclear weapons capability. President Obama is under a lot of pressure to show at least some results after eight months of an "engagement" policy with the Islamic Republic that has repeatedly fallen on deaf ears. We have failed to change Iran's behavior at all in that period. 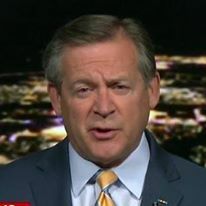 According to an administration spokesmen, the American representative at the meeting will "confront" Iran and accuse it of conducting "an illicit nuclear weapons program." Tough talk, but not exactly the reality of what is happening. The Iranians and the EU have agreed only to have a meeting. There is no agenda or ground rules. The Iranians have won the first round already, though, by providing a five-page package of proposals that in effect sets the agenda. The package is Tehran's response to the July meeting of the G-8 in Italy which established a deadline for the beginning of negotiations over the nuclear issue. The document is laughable. It is titled "Cooperation for Peace, Justice and Progress: Package of proposals by the Islamic Republic of Iran for Comprehensive and Constructive Negotiations." I would say read it for its entertainment value if it was not so serious a subject. The document, in excellent English, begins with an assessment that praises the end of "ungodly ways of thinking" in the past, obliquely criticizes the West and the United States, and proposes changes in the international structure, including the United Nations. It also seeks cooperation in combating global terrorism - this from the world's major state sponsor of terrorism. Not surprisingly, there is no mention of the nuclear program - the U.S. Administration's stated reason for the meeting. 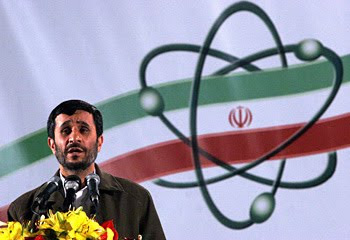 Both Iranian Supreme Leader Ali Khamenei and President Mahmoud Ahmadinejad have declared the nuclear enrichment program - described as a "sovereign right" - is not up for discussion. So why have a meeting? This is merely a continuation of what has been a major foreign policy success for Iran and Ahmadinejad. See my earlier article, Iran's Foreign Policy Success. The Iranians sense that there is increased concern and are reacting as they always do - let's have a meeting, but not about the issue at hand. The West always views this as an opening - and it always results in failure. All the while the Iranians are talking about talking, and talking about having meetings, and defining the topics of those meetings, the centrifuges at the Natanz nuclear facility continue to enrich uranium. The Iranians have not stopped processing uranium since their program began - despite years of threats from Washington and European capitals. Every time there has been a chance for effective sanctions, Iran either successfully appealed to their protectors on the Security Council - China and Russia - or agreed to some form of talks that never amounted to anything. I doubt this round will be any different. Iran will continue to enrich uranium, and the West will continue its feckless rhetoric.